Life Before the Dinosaurs: Helmetia. 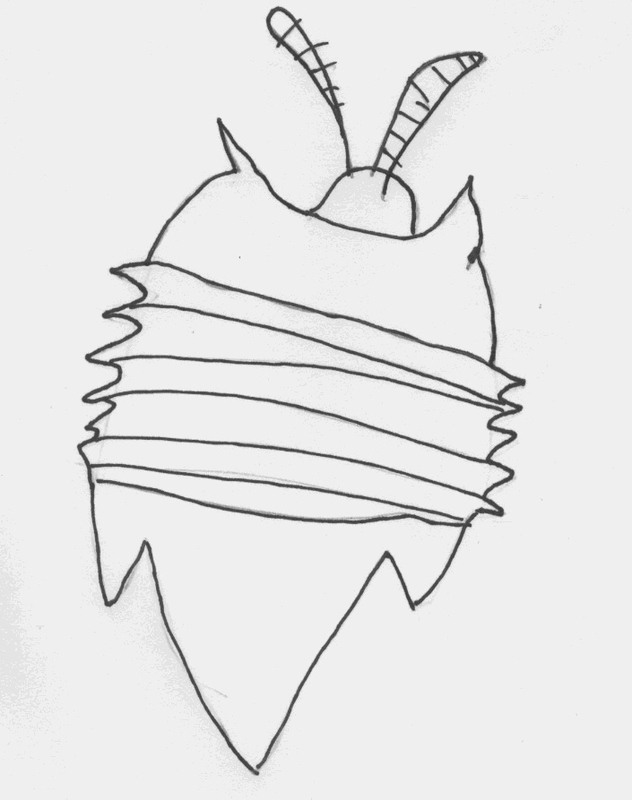 Helmetia was an unusual trilobite-like arthropod with eyes on the bottom of its head, and a broad, flat body. Having eyes on the bottom of its head would have blinded it if it crawled across the ocean floor, and its broad, flat body would have been buoyant and made it hard for Helmetia to get down to the sea floor in the first place, just like something flat will not sink in quicksand. Helmetia could reach lengths of about 19 cm, which was quite large for a Cambrian animal. Helmetia is obviously well-armored and large, so it probably didn't have too many predators. Large anomalocarids were the only animals big enough to even try to eat Helmetia. 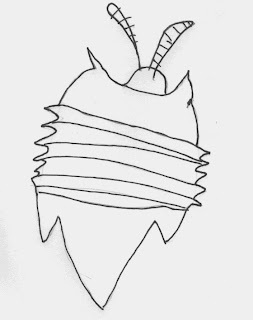 Helmetia had hard spines on the edges of its armor and its flat shape also would have made it hard for an anomalocarid to grip it. All its armor probably would have made Helmetia a slow swimmer, but this probably did not make it vulnerable. Helmetia was presumably a filter feeder, feeding on plankton, bacteria, and other microscopic living things that floated around in the water column. 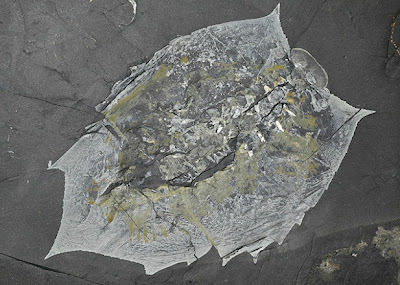 Fossils of Helmetia are extremely rare. They have been found in the Burgess Shale and were discovered by Charles Doolittle Walcott. I suspect Helmetia might have floated upside down at the surface to feed. Then, its flat body, armored carapace, and oddly-paced eyes would all have been adaptive. That does make sense. A lot of swimming arthropods, like for example brine shrimp, swim upside-down. So that could point to some Cambrian arthropods possibly swimming upside-down. And also you would imagine that the most plankton would be closest to the surface of the water, since more phytoplankton could grow there and then of course the zooplankton could find more phytoplankton at the surface to eat. Therefore Helmetia would have been able to find the most plankton at the surface.